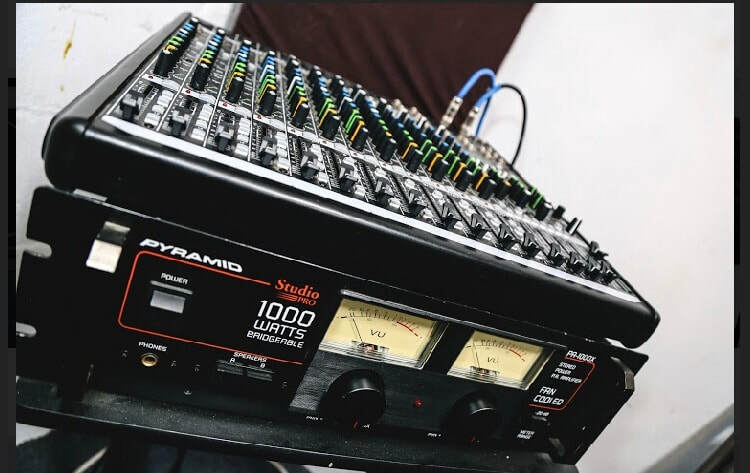 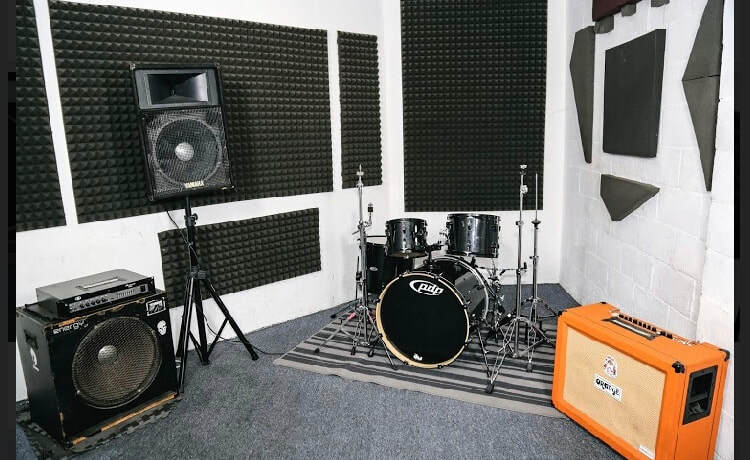 Studio D (Dio) At 200 square feet the room can accommodate either a 3 piece or 4 piece band comfortably. 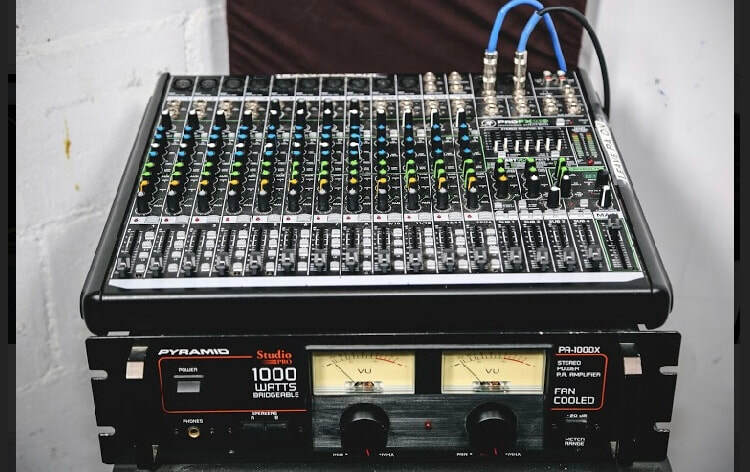 The room features: PA: Mackie 16 channel mixer with a 1,000 Watt Power Amp, 2 Yamaha Monitors , Drums: one 5 pc. 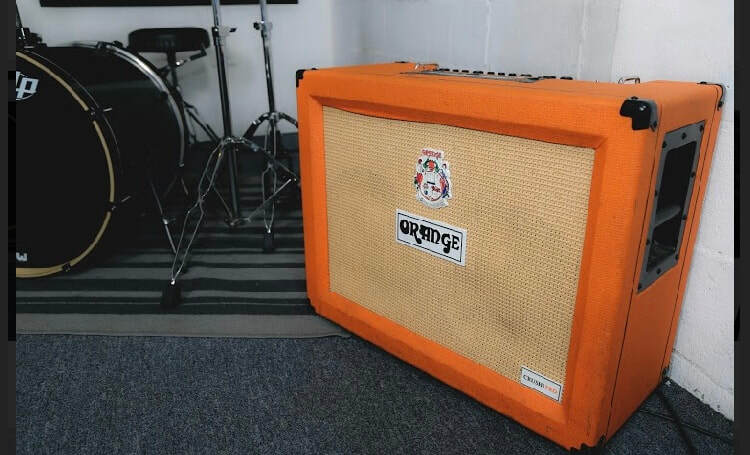 PDP Mainstage Drum set includes throne, 3 cymbal stands, one snare stand and one hi-hatt stand, Bass: Energy 18" Bass Cab, one Ampeg SVT 3 Pro Bass Head, Guitar: One Orange CR120 Combo Guitar Amp.